Your big day should be nothing short of spectacular and Best Western Plus Port O’Call is honoured to help make your weddings dreams a reality. 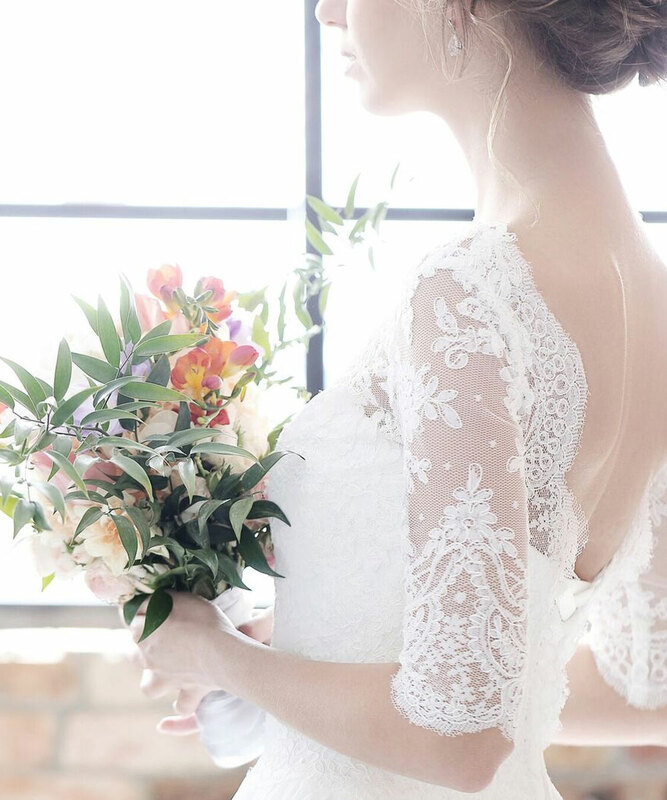 With expert planners, gracious event staff and in-house catering, we are here to support and assist you in every way. 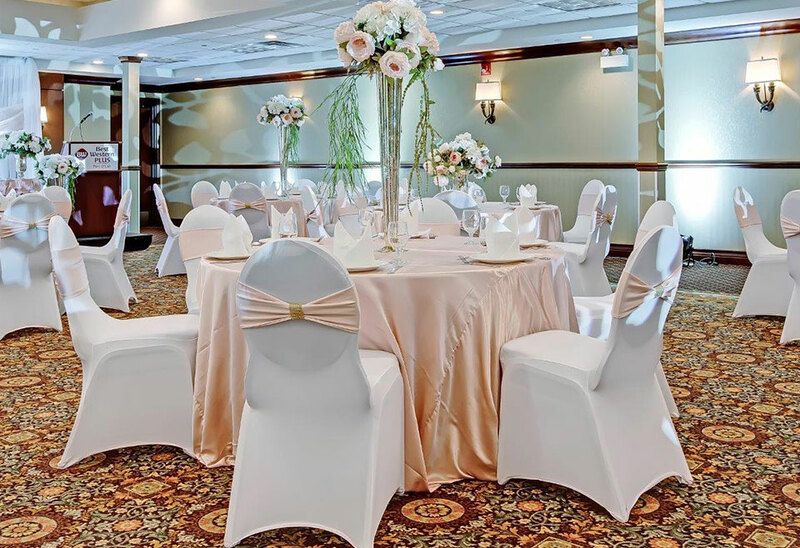 Your personal event planner and catering specialist will work with you to create a stunning decor and menu down to the smallest detail, and assist with hotel accommodation arrangements for the newlyweds as well as their guests. 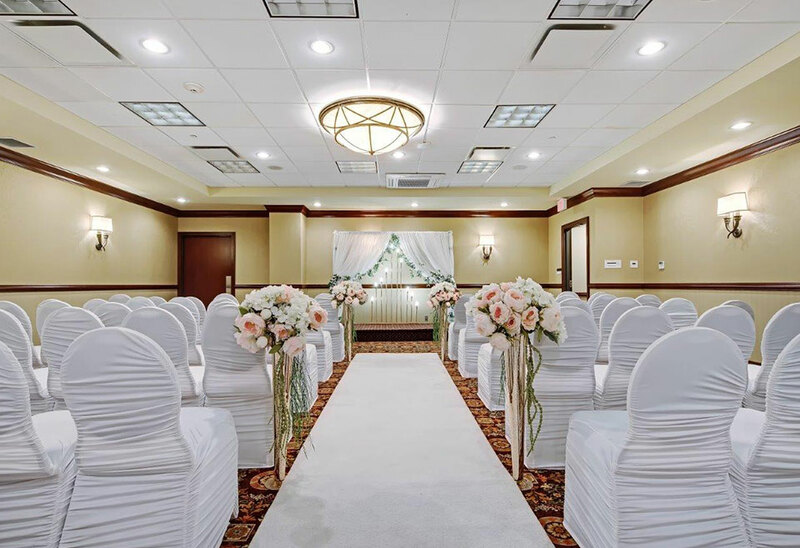 Find out why Best Western Plus Port O’Call Hotel is a top choice for Calgary hotel weddings: Contact us today or fill out an online Request For Proposal today. 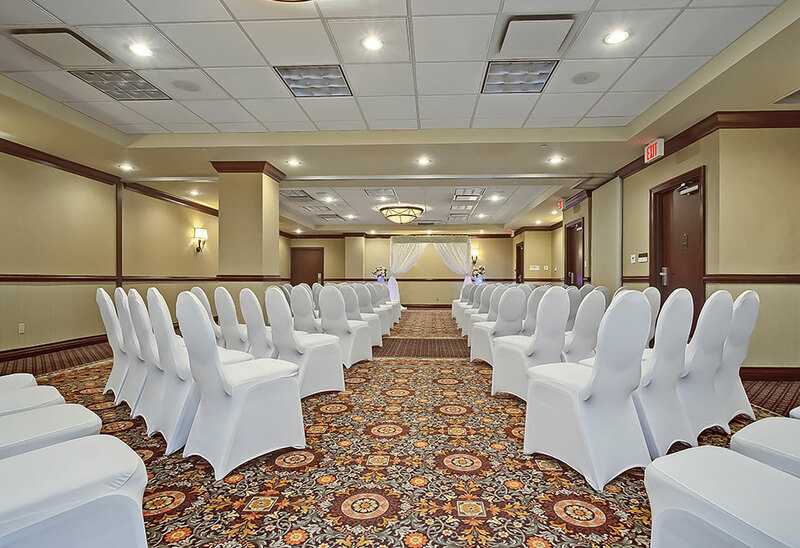 Among the top wedding venues in Calgary, Best Western Plus Port O’Call Hotel features three elegant ballrooms perfectly suited to grand wedding receptions and celebrations, as well as gorgeous indoor and outdoor ceremony spaces featuring panoramic views of the Rocky Mountains. 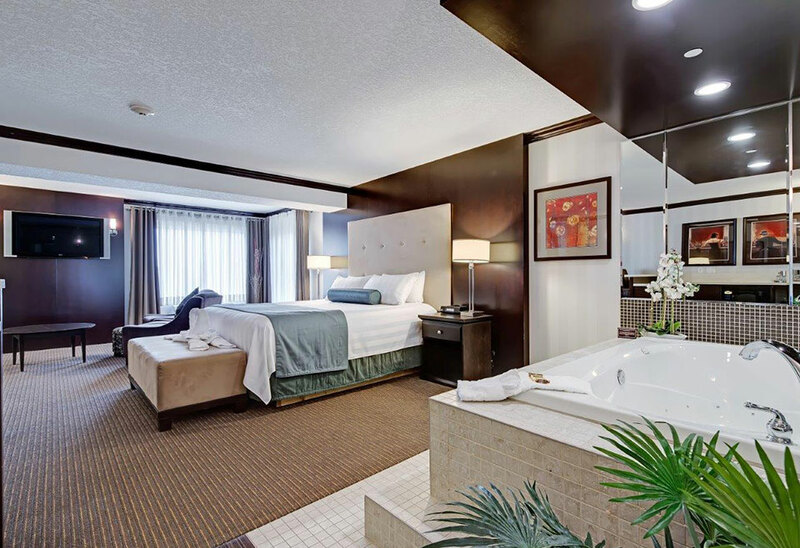 Spend the night in our Deluxe Thermo-Masseur Bath Suite and toast your incredible day with sparkling wine, chocolate-covered strawberries and long-stem roses. The next morning, enjoy your first breakfast as a married couple together in bed or a Sunday Brunch at the SkyHarbour Grill. To top it all off, our complimentary airport shuttle will whisk you off to the Calgary Airport just in time for your honeymoon flight! Your wedding night accommodation with Romance Package add-on in complimentary when you book your reception at our Conference Centre, and includes early check-in and late check-out when available. 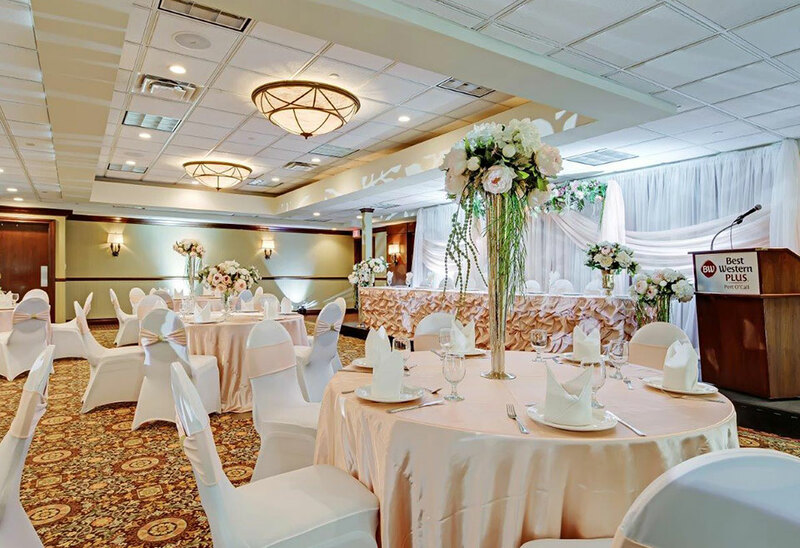 Other Calgary hotels with wedding packages just don’t compare; contact us today to learn more about our special wedding packages and services.